If you love Christmas and anything sweet, then you’ll love Krispy Kreme’s new holiday themed doughnuts. It’s the perfect time of year to grab a box of adorably design doughnuts for your next holiday dinner or Christmas office party. The Santa Belly Dough is a chocolate kreme filled shelled dipped in red icing and decorated to look like Saint Nicholas giant jolly belly. 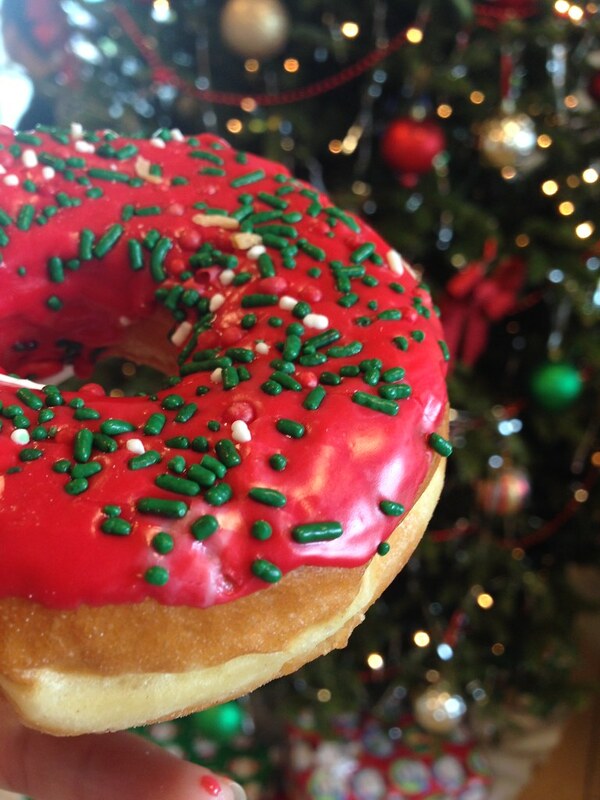 There is also an ugly sweater doughnut which is a definitely a must-have for anybody. The doughnuts is dipped in green icing, sprinkled with confetti and decorated with reindeer and penguin candies. These totally adorable donuts will definitely win the hearts of your friends and family.